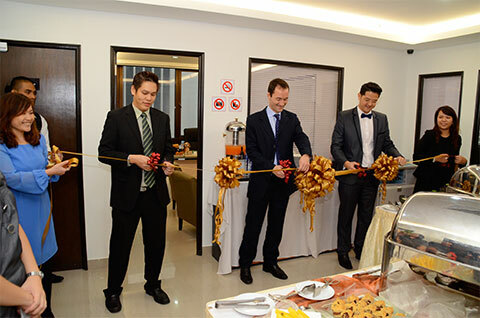 On Friday 29th March Mr Simon Cleaver, Chairman of CTH, attended the formal opening ceremony of CTH’s new expanded South East Asia Regional Office in Kuala Lumpur in Malaysia. After cutting the official opening ribbon along with Joseph Hii, CTH Regional Manager, Simon made a brief speech congratulating the Region on its expansion and looking forward to further developments over the coming years. The new office is conveniently located on the 16th floor of the prestigious MCA building on Jalang Ampang in the heart of Kuala Lumpur’s central business district and will enable CTH to efficiently service its expanding presence in the South East Asia region.